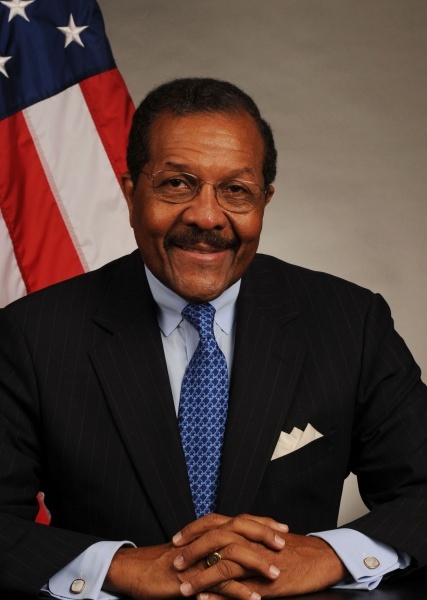 UPDATED: Deputy Commerce Secretary Dennis F. Hightower resigned effective August 27, 2010. Dennis F. Hightower was appointed by President Obama as Deputy Secretary of Commerce and sworn into office on August 11, 2009. At the Department of Commerce, Hightower is charged with general management duties, including driving efficiency and effectiveness through the Department's twelve bureaus. Hightower is a seasoned business executive with extensive global general management experience. His distinguished career spans the private and public sectors - including more than 30 years of experience in global marketing, strategic planning, operations and international general management - and took him to 91 countries. Most recently, Mr. Hightower was chief executive officer of Europe Online Networks S.A., a privately-held, satellite-delivered broadband interactive entertainment company based in Luxembourg. From 1987 to 1996, Mr. Hightower was a senior executive of The Walt Disney Company, where he led multi-billion dollar enterprises as president of Walt Disney Television & Telecommunications, and president of Consumer Products, Europe/Middle East and Africa, based in Paris. Earlier in his career, he was a senior associate/engagement manager at McKinsey & Co., and vice president and general manager of GE's lighting business in Mexico. Hightower has made a continuing commitment to training future business leaders as a former professor of management at Harvard Business School, where he focused on leadership, building emerging markets and global general management. He has also been a guest lecturer at business schools throughout the world, including IMD in Switzerland, INSEAD in France and the London Business School; and at the U.S. Military Academy (Bicentennial) and the USMA Preparatory School. Hightower recently served on the Boards of Directors of Accenture, Domino's Pizza, Lightfleet (a start-up high technology company), and privately-held Brown Capital Management. He has formerly served as a board member of The Gillette Company, Northwest Airlines, PanAmSat Corporation, Phillip-Van Heusen Corporation, The TJX Companies Inc., and as a member of the Price Waterhouse Chairman's Advisory Council. Previously, Mr. Hightower has demonstrated a willingness to serve his country as a decorated Vietnam veteran and as a member of the Defense Business Board. Hightower was a Regular Army officer for eight years, rising to the rank of Major by age 27. While on active duty he was awarded numerous decorations for meritorious achievement and valor.